The Artesia City Council approved the vacation of a portion of public right-of-way at the future site of the city’s new Wendy’s restaurant as well as a name change for a former portion of Runyan Avenue at its regularly-scheduled meeting Tuesday at City Hall. Also announced at Tuesday’s meeting was the fact Mayor Phillip Burch had placed his signature that day on a maintenance agreement with the New Mexico Department of Transportation for a signal light at Hermosa Drive and First Street. The right-of-way hearing concerned only the vacation by the city of five feet along the east side of the 100 block of South 11th Street at the request of Wendtesia, LLC, and the Artesia Public Schools. That action was ultimately approved, 6-0. However, concerns were raised by a local resident regarding how the new restaurant will affect those living on that portion of 11th Street. Margaret McCaleb, who resides on the west side of 11th Street, first expressed concern over motorists being allowed to park along the curbs on 11th. She was assured by Community Development director Jim McGuire and Infrastructure director Byron Landfair that the city would maintain yellow striping on both sides of that roadway. Councilors questioned, however, the plan to have both the entrance to and exit from Wendy’s located on 11th, with no access from Main Street. Bratcher pointed out that as it already stands, students utilizing 11th to travel from Artesia High School to Main Street keep that portion of roadway backed up before and after school, and during lunch. Councilor Raul Rodriguez asked whether there might be future plans considered to install a stoplight or other traffic-slowing measure at that intersection. Bratcher inquired whether there was any chance the plans could be changed to include at least an exit onto Main rather than having drivers circle the building in order to come back out onto 11th. Mayor Pro-Tem Terry Hill said with Artesians having been forced to become accustomed to finding alternate routes throughout the city due to long-term construction projects, hopefully motorists might learn to “catch the light at Seventh, come up, then come back down and come up 11th” to avoid congestion. Councilor Luis Florez also suggested the Artesia Public Schools might be willing to ask students to avoid that portion of 11th during busy times of day. “Perhaps even leave the car parked and walk a block,” Hill said. McGuire pointed out, to groans from the council, that the site plan has been approved and the building permit issued. The mayor pointed out the former Dairy Queen – now Henry’s BBQ – nearby was one of the most congested places in town on nights following Little League games but that motorists managed to find their way around. “That’s going to happen when you have a business district, and anymore, that’s a part of the business district of Artesia,” Burch said. “I’m kind of hoping the school kids, rather than get on 11th Street knowing full well they’ll have to sit in traffic to get onto Main Street, will go down to 10th or 12th and find a way out that’s easier. The police department will be happy to attend those first few days and control traffic during the lunch hour. The second public hearing concerned the renaming of the 1400 block of South Runyan Avenue due to confusion with the 1400 block of West Runyan Avenue. McGuire said there was recent confusion amongst emergency crews attempting to locate that particular block. He said the six residents in that block were in agreement with the name change and that, keeping with the recent “presidential” theme in the area, the city had decided on Adams Drive. The council ultimately approved Adams Drive by a vote of 6-0. During the personnel portion of the meeting, the council approved the hiring of Marco Munoz as a Street Department Equipment Operator I at a pay rate of $2,482 per month, and Mike Perez as a Water Department technician, $2,363 per month. Permission to advertise and fill the position of firefighter was also granted. In public safety, Bratcher pointed out that during the recent National Dance Institute performance at the AHS Auditorium, foot traffic was extremely heavy between the auditorium and the Bulldog Bowl parking lot. He said lighting on that portion of Bulldog Boulevard is inadequate and suggested a more clearly defined crossing area. Police Chief Kirk Roberts said the department would be willing to dispatch a Community Service Officer to direct traffic during large events, if the schools so desired. Hill also broached the subject of Artesia’s large number of traffic accidents per capita. However, he pointed out staffing at times plays a role in the department’s inability to have officers on constant patrol, as officers are instructed to make all radio calls a priority and see those incidents through to completion. He said the department is beginning to replace the six officers who departed in June and also to utilize software that will be able to give the PD a clear picture of where traffic accidents most often occur, as well as times of day and contributing factors. The council additionally approved its mid-year budget resolution – adding the purchase of three mowers at an additional cost of $140,000 – and the list of precinct workers for the March 6 municipal election. • the resignation of Darcee Colwell, firefighter, effective Jan. 29. • a public hearing for Feb. 13 for consideration of a Home Business License for the accounting practice of Chris Pruitt, CPA, at 2406 Sierra Vista Road. 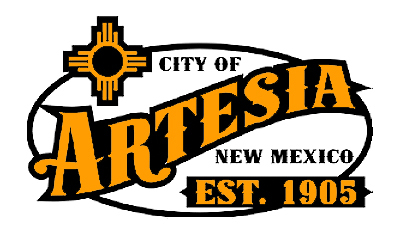 • a public hearing for Feb. 13 for consideration of an ordinance amending Chapters 1, 2 and 11 of Section 9 of the Artesia City Code. • a public hearing for Feb. 13 for consideration of an ordinance amending the Water Rates portion of the Artesia Municipal Code. • a public hearing for Feb. 13 for consideration of an ordinance amending the Service Outside the City Limits portions – specifically residents of Paris and York streets – of the Artesia Municipal Code. • permission for eight police employees to attend crash report training in Artesia. • permission for one fire employee to attend Fire Officer II training in Rio Rancho. • permission for one fire employee to attend the Statewide EMS Advisory Committee meeting in Santa Fe. • permission for one planning employee to attend code adoption training in Albuquerque. • permission for one fire employee to attend the NMFTA Fire Officer I training in Socorro. • permission for one water employee to attend the NMED Water System Sampler Certification training in Mesilla. • permission for one water employee to attend the 2018 Utility Operator Certification Exam in Albuquerque. • permission for one police employee to attend the Local Government Leadership Program in Santa Fe and Albuquerque. • permission for one police employee to attend the Active Shooter Threat Instructor Training Program in Artesia. • permission for one police employee to attend Instruct ethics, cultural diversity, suicide prevention, and report writing training in Hobbs.